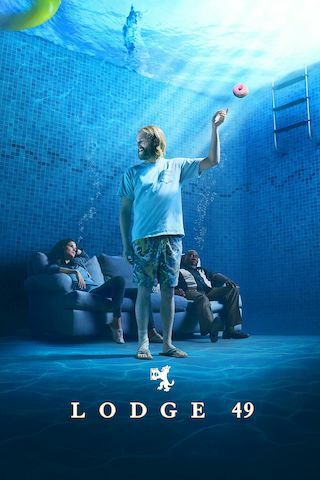 Lodge 49 is a 60 minute scripted drama television series, which kicked off on August 6, 2018, on AMC Premiere and is broadcast every Monday at 22:00. The show is currently in its 2nd season. AMC Premiere has officially confirmed the renewal of Lodge 49 for Season 3. The exact release date is yet to be announced so far. Sign up to track it down. October 4, 2018 - Ahead of its season one finale, AMC today announced that it has renewed its critically acclaimed modern fable "Lodge 49" for a second season. The second season of "Lodge 49" will go into production and will air on AMC in 2019 with 10 episodes. In season one, Dud found himself on the doorstep of a rundown fraternal lodge, where a middle-aged plumbing salesman and "Luminous Knight" of the order welcomes him into a world of domestic beer, easy camaraderie and the promise of Alchemical mysteries that may - or may not - put Dud on the path to recover the idyllic life he's lost.